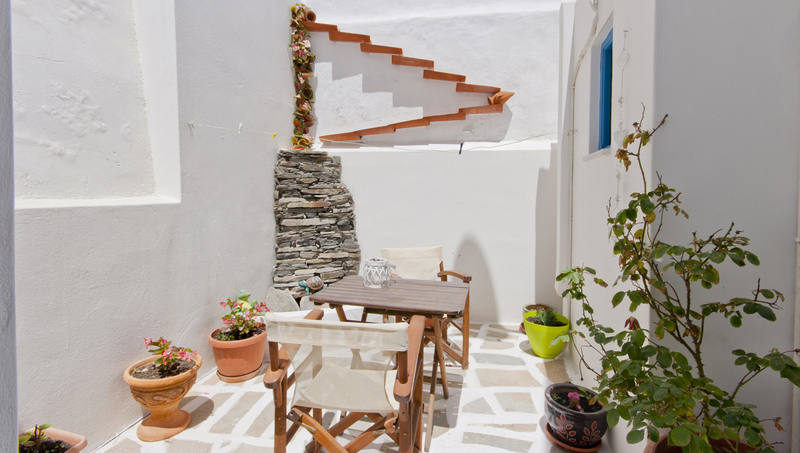 Bourgos Studios are located in the heart of Naxos Old Town, right next to the medieval Venetian Castle of the 1207 AD. Characteristic of the Old Town are the narrow paths, where cars are not allowed. Bourgos comprises of two traditional houses – lodgings, ideal for those wishing to relax in a cozy ambience and taste the atmosphere of past times. Some of the Studios have view to Naxos Town, while others have beautiful views of the sea. But the best spot of the complex is the terrace which features panoramic views of the town and the sea, which makes it magical. The Studios operate all year round.